Glass handle of a sauna room was broken off the metal base leaving large crack / break in the glass handle, after the glass bonding it was just like new. 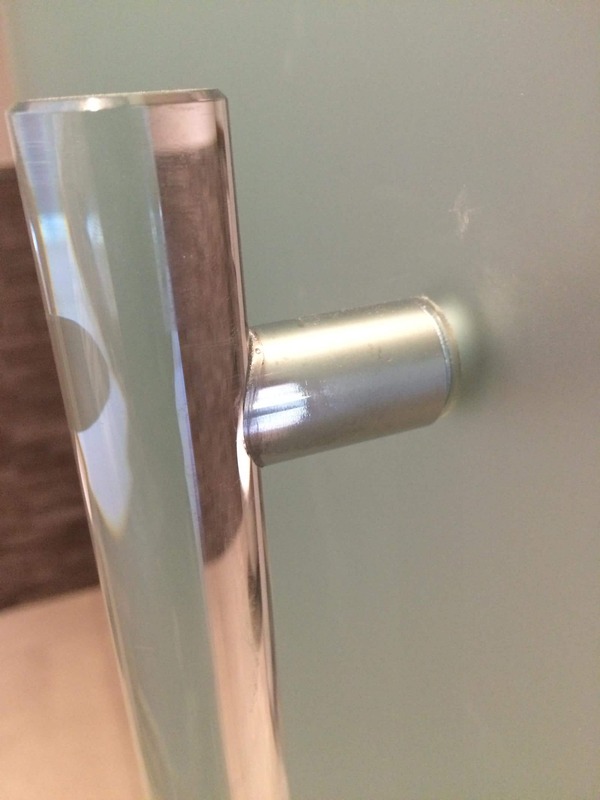 The glass handle is broken and cannot be connected to the door. 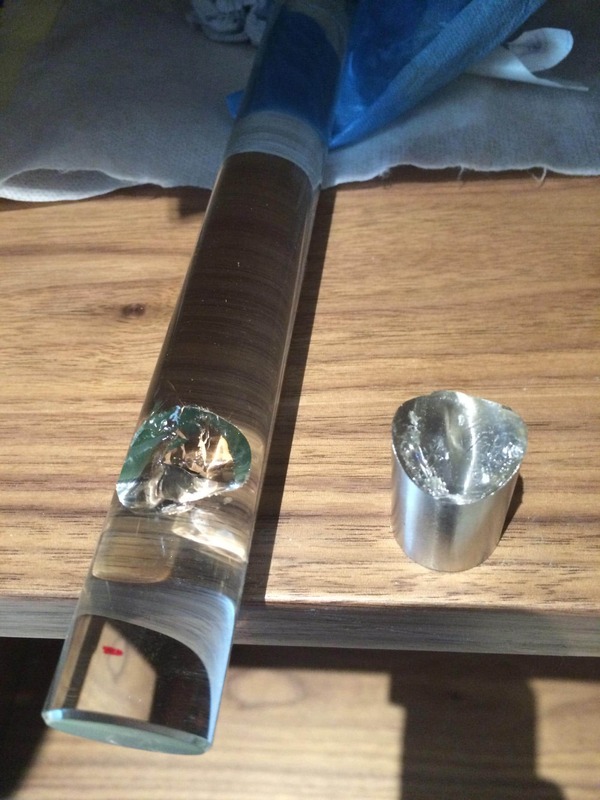 After the glass is glued back to the base with special glue it is strong and shows no damage.